Good Morning, everyone! 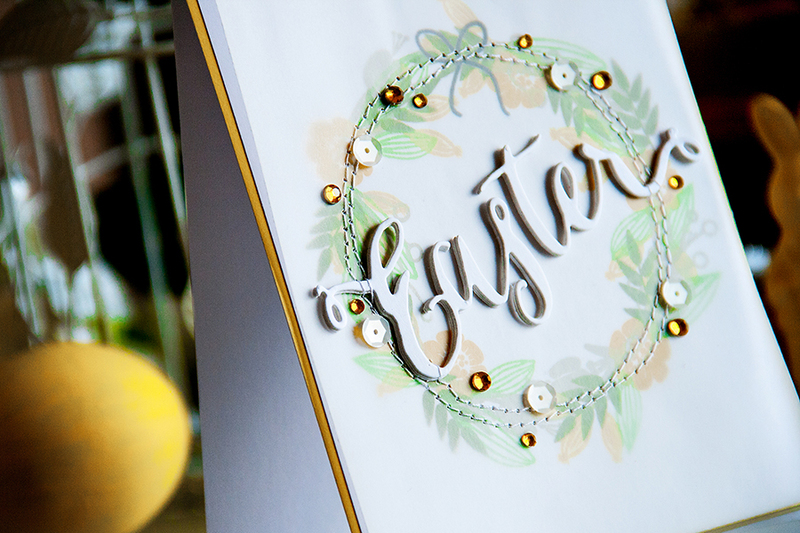 I have a new card and video to share with you today. Sometimes (usually on a weekend) I can make up to 3, or maybe even 4 cards and shoot videos for all of them in just one day and than spend a few weeks procrastinating about editing these videos. This is exactly the case with this card, I made it long time ago, well maybe not that long, but it was way back in February and I just didn’t have the time to sit down, record the voice over and put the entire thing together. But here it is! 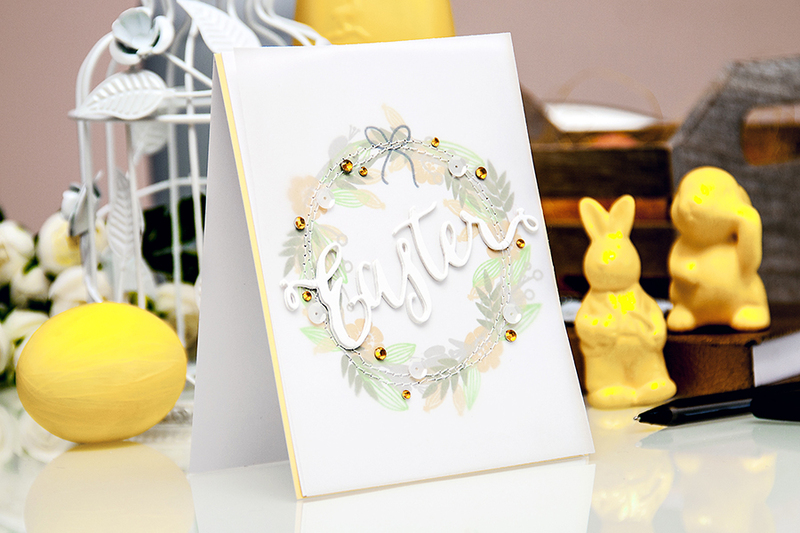 A simple Easter card with a fun stamped Spring wreath using some of my current favorite supplies from Hero Arts. I have recently received a very basic but versatile stamp from Hero Arts called Overlap Circle Frame. Nothing special about it, but because its so very simple it can be used in many different ways. 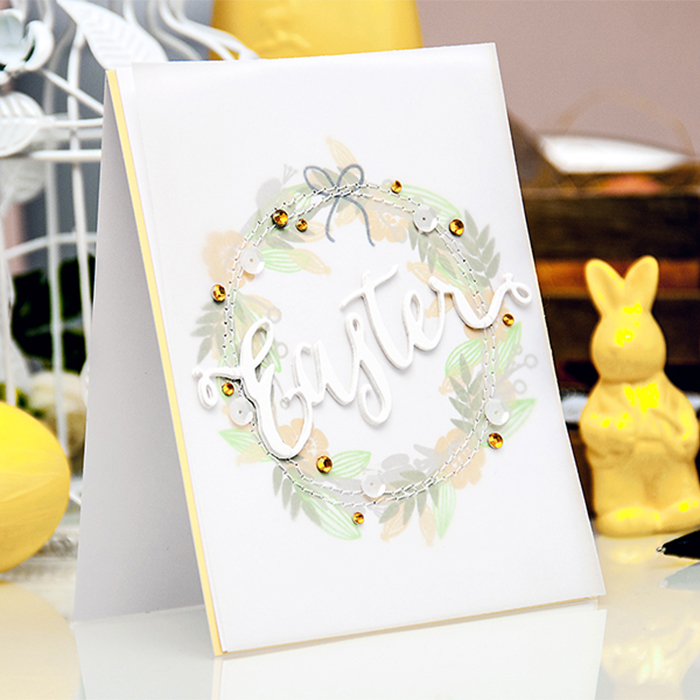 I used it as a base for my Spring wreath – simply stamped it in Wet Cement ink onto a panel of white cardstock and layered flowers and leaves on top for a fresh look. 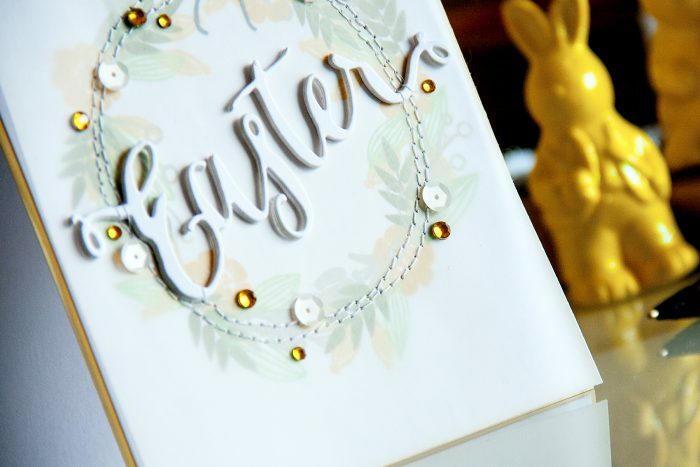 I also used an Easter word die from Simon Says Stamp to create a die cut for my project. I cut it several times out of white cardstock and adhered the pieces together to create one chipboard-like piece.